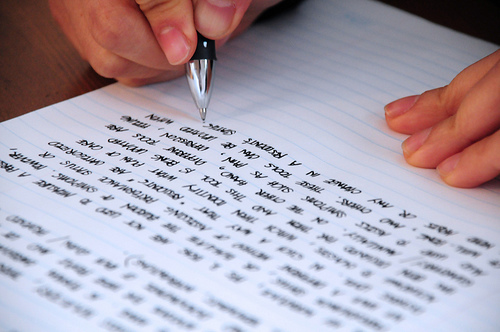 Did you know there were over 60 writing competitions for law students last year? A listing of current competitions is maintained on the library website under Research Guides, titled Student Writing Competitions. Papers are currently being accepted in topics as diverse as constitutional interpretation, securities law, civil discovery procedures, human rights, national security, and construction law. You can also find information about the 13th Annual Law Student Tax Challenge. Prizes range from $250 to $5,000+ and often include publication in industry journals, travel expenses to meetings, and free membership to the sponsoring organization. While some contests have a special topic (such as the Center for Alcohol Policy’s “This year marks the 80th anniversary of the 21st Amendment. Has it achieved its intended purpose?”), others allow you to submit papers written for classes. You will also find a list of resources to help hone your writing skill. The Guide is updated regularly as new competitions are announced, so check back periodically.